The Nissan Versa is a four-door sedan, or a five-door hatchback when it's called the Versa Note. The Versa is consistently among the most affordable new cars sold in America and as such, it's not very luxurious. Regardless of price or body style, both Versa variants are spacious for their subcompact size class. 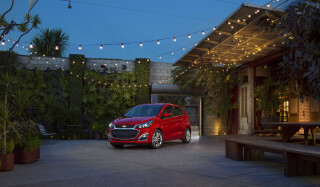 With the Versa, Nissan has a rival for other small cars on sale in the U.S. including the Chevy Sonic, Mitsubishi Mirage, Toyota Yaris, and Honda Fit. 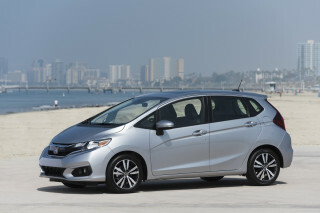 The Versa was relatively unchanged for 2019. The current Versa four-door made its debut as a redesigned model for 2012, trading its predecessor's slab-sided lines for more rounded—some might say bulbous—shapes, and an updated Nissan corporate grille. All current Versa sedans are powered by a 109-horsepower, 1.6-liter 4-cylinder engine. 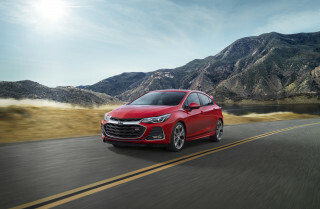 The 1.6 S gets notably worse fuel efficiency ratings (27 mpg city, 36 highway, 30 combined) than better-equipped models, because it is available only with a 5-speed manual gearbox or an optional 4-speed automatic. The higher-line models can be ordered with a more fuel-efficient version of Nissan's continuously variable transmission (CVT), which pushes the Versa sedan's ratings to 31/40/35 mpg. The Versa emphasizes its value over any other attribute, helping the car appeal to folks who aren't necessarily looking for top performance or amazing fuel economy. It's a nice enough car to pilot in commuting, but the suspension is very soft, which hampers handling. The Nissan Versa's lower price, however, comes with a tradeoff: a very basic interior and minimal driving feel. The latest Versa seems even more bargain-basement than ever in its features and appointments, with drum brakes across the lineup; short, flat seats; hard-and-hollow-feeling dash and door trim; and rear seatbacks that don't fold forward on the less expensive models. But for many buyers, roominess often trumps both of those qualities. The Versa sedan and Note have very good interior room for their size class. Two normal-sized adults can even fit into the back seat in comfort, something not easily claimed by most competitors in the segment. The rear doors open wide to a back seat that's very spacious for the class, easily accommodating two adults or three kids. Those who want the most versatility should choose the Note hatchback, although it costs slightly more. Features are meager at the entry level. Air conditioning is now standard, as is Bluetooth pairing and voice control, though power windows and locks are not. (Power mirrors were made standard for 2016.) The mid-range SV model adds the usual convenience items, including power windows and cruise control, while the top-of-the-range SL models can reach around $18,000 when fully optioned with navigation, XM NavTraffic, and USB/iPod controls. The Versa Note was substantially revised in 2017 with a new face and headlights, updated wheels, and new paint colors. The sedan carried over unchanged from the prior year. When the first-generation Versa was introduced back in 2007, it was the only subcompact to have a standard 6-speed manual gearbox (something it no longer offers, sadly). Both the four-door sedan and the five-door hatchback were equipped with a 122-hp, 1.8-liter 4-cylinder engine. At first, a conventional 4-speed automatic transmission was optional, but it was soon replaced by Nissan's CVT. 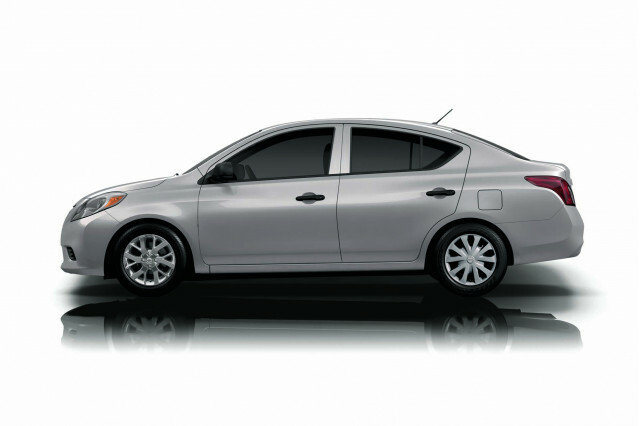 Nissan added Base models of the Versa sedan in 2009, which were powered by a 1.6-liter 4-cylinder making 107 hp. A 5-speed manual was standard there, as were manual locks and windows, while air conditioning, a stereo, and the automatic transmission were options, all to keep the price down. 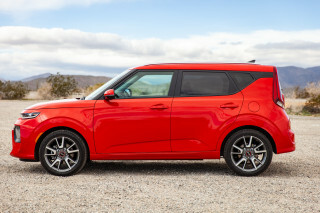 This lack of features also kept weight down, making the 1.6-liter models a little more fun to drive, if not to be in for long periods of time. The 1.6 was only really adequate if you stuck with the manual transmission, however. Interestingly, the Versa 1.6 got slightly lower fuel economy than 1.8 models, with EPA ratings of 26 mpg city, 31 highway, likely due to gearing that was meant to compensate for the lower engine output. Versa S models were better equipped, including most of the basics the Base models forewent, while range-topping SL models came with upgraded sound, height-adjustable seats, power windows and locks, keyless entry, and standard electronic stability control. Although the Versa earned reasonably good safety ratings, prior to 2010 the Base and S models didn't come with standard anti-lock brakes or electronic stability control. 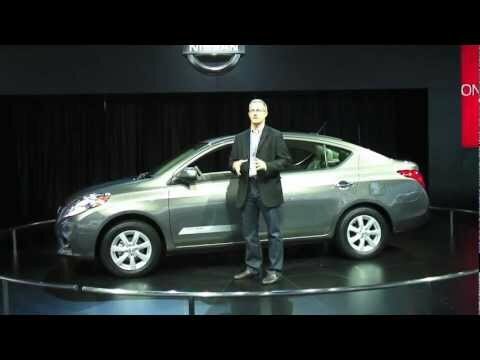 For 2010, in addition to the new safety equipment, Nissan added a slightly different grille to the lineup and made large, 16-inch alloy wheels optional, as well as a navigation and a satellite radio. Intelligent Key and Rockford Fosgate sound remained major options. I am very disappointed. I have to preface with that it is my rental car while mine's in the shop. It's more basic that I was aware cars in 2018 would even be made. It serves the purpose of getting me and my... I am very disappointed. I have to preface with that it is my rental car while mine's in the shop. It's more basic that I was aware cars in 2018 would even be made. It serves the purpose of getting me and my kids where we need to go reliably but not a vehicle I'd look at buying next time.